I knew Becky for a short while in New Zealand. My wife met her in their ESL class, and they hit it off right away. We were so fortunate to spend time with her. One particular night, Becky hosted a party at her aunt's which I shall never forget. 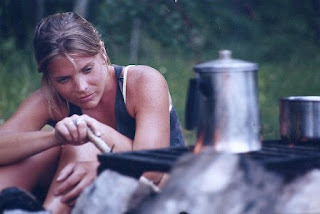 That's the way she was: vibrant, with an energy that was infectious and a sense of occasion in the everyday. I am deeply saddened to learn of her death as I always hoped we would meet again. Becky and I were friends in High School, but we had lost touch by the early 1990s. I just ran into an old, mutual friend of ours here in Australia (!) and heard about Becky's tragic passing. My heart sank to hear the story. I was really touched to come across this website and see how Becky is being honored. What a beautiful way to keep her spirit alive. Becky would be 40 years old today on Nobember 8, 2012. 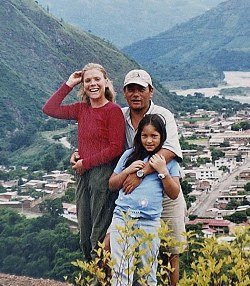 I was fortunate to meet Becky in Peru in March 2002 in Cuzco and again at her restaurant in Pisac, and we became friends. She was one of the most delightful, intelligent, thoughtful, adventurous, and compassionate people one could ever hope to meet. She always made a positive difference in the world around her, and she loved her Peruvian friends and neighbors dearly. In light of the tragedy of her untimely passing, Becky lives through the ongoing work that her family does for the people and the community that Becky so dearly loved. I am very thankful for the Becky Fund.